The Enclave Alabang’s iconic Clubhouse has a resort-like design to create a relaxing ambiance for its residents. When it comes to upscale real estate, they say location is everything. It speaks volumes on how exclusive and premium a project is, promising higher land values and impressive returns on investment in the years to come. It also reflects the status in life of its residents and buyers—that they are of the discriminating set who only expect the best in everything, down to the last detail. 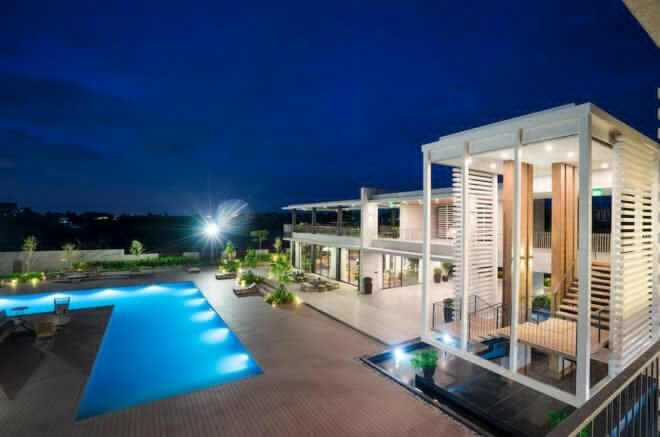 For this criterion alone, The Enclave Alabang by luxury real estate brand Filigree fits the very definition of what a premiere horizontal development should be—even bagging an award for Best Residential Development in the Philippines at the recently concluded Asia Pacific Property Awards 2018 held in Bangkok, Thailand. With the exceptional level of craftsmanship, world-class design and features, and meticulous planning evident across all Filigree residential developments, this award comes as no surprise for The Enclave Alabang. First and foremost, The Enclave Alabang is strategically situated along the primary Daang Hari Road, which is among the most desired locations in the metro, bar none. Its proximity to top centers of learning, retail and leisure hubs, top-rate medical facilities, and the premier garden central business district in the Metro South, Filinvest City, simply make it so. And yet, The Enclave Alabang is positioned to allow for utmost privacy and serenity, of gentility and grace, where residents are secluded from the hustle and bustle of urban living. The Enclave Alabang’s unrivaled location is just one of the many outstanding attributes that make it a cut above the rest. Another is how Filigree assembled the most notable team of development consultants, each one bringing to the table a high level of expertise and know-how, resulting in a masterplanned, low-density village at an intimate 13 hectares of green-oriented expanse. 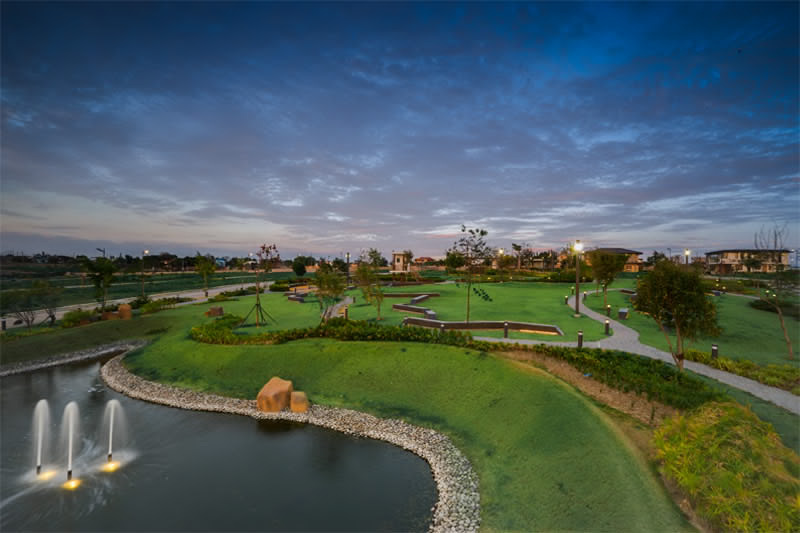 With its greeneries and mini man-made lagoon, the Central Park is the hallmark of The Enclave Alabang’s verdant expanse. 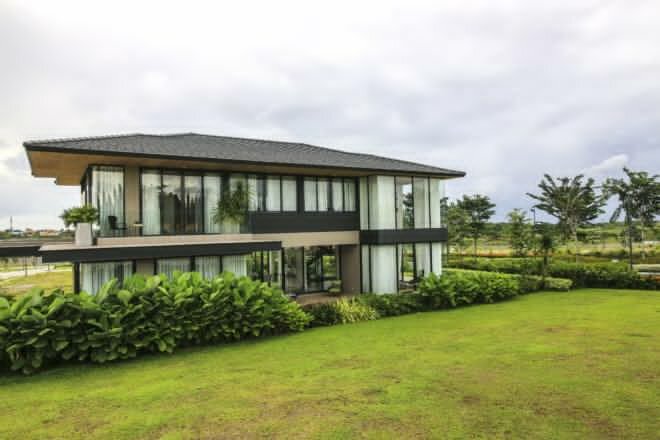 Towards this end, forty percent of the development is generously dedicated to sprawling greenery, the crowning glory of which is the Central Park—The Enclave Alabang’s centerpiece, which boasts of abundant flora, a mini man-made lagoon with calming waters, and a watch tower that overlooks the community. This masterfully landscaped focal point offers a children’s playground, ample seating areas, and a green space for outdoor activities like biking, jogging, and walking. 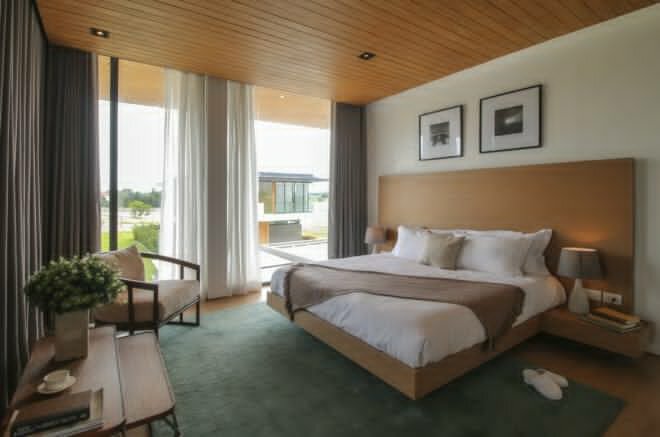 Bedrooms in The Enclave Alabang’s Limited Edition Designer Residences have floor-to-ceiling glass walls where natural light comes in. This design concept sets The Enclave Alabang apart, offering residents a nature sanctuary of their own—even in one of the busiest, most dynamic parts of the metro. For The Enclave Alabang’s prime amenity area, the awe-inspiring 1,500-square meter Clubhouse, Filigree turned to no less than BUDJI+ROYAL Architecture+Design for the interiors. This stunning structure has a contemporary resort-feel that promotes relaxation and a respite from the day’s worries. The Clubhouse’s refreshing ambiance is an escape from the active metro, with its relaxing lap pool for a revitalizing dip, a well-equipped fitness center with the latest and essential exercise machines, a game room, plus a main function hall that can accommodate 100 persons while two more function rooms can accommodate 50 persons each. Perhaps the piece de resistance in The Enclave Alabang—the glimmering jewels of the whole development—are the Limited Edition Designer Residences, masterpieces of H1 Architecture. These designer residences highlight the luxurious, modern tropical design theme of the entire property. 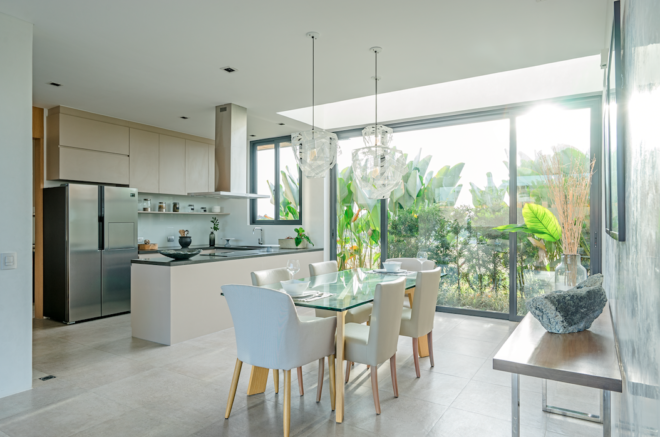 “When we started to do the houses, we wanted to take advantage of the beautiful community features that the master plan already has, creating distinct designs that easily compliment The Enclave Alabang’s vision,” says Raymond Hernandez of H1 Architecture. The Limited Edition Designer Residences take pride in a tropical modern design theme that complements The Enclave Alabang’s nature-inspired masterplan. With all these unique, deliberately planned features and more, indeed, The Enclave Alabang is greater than the sum of its parts, exceeding expectations, redefining perceptions, and setting standards in the world of luxury real estate that others can only dream of achieving.